We got in late to the Grano de Oro Hotel in San Jose then had an early 6:30 pick up for the drive/boat to Tortuguero. This was the only time we had such a short turnaround. We stopped along the way in Guapiles at the Hotel Suerre for breakfast about 8. The road ends at La Pavona. There you wait for the transition to the boat to take you into your place in Tortuguero. There are no roads leading in – you either go by boat or fly in. I read a lot of online complaints about them charging a dollar (or 500 Colon) to use the bathroom at La Pavona but thinking about it I can understand how they have to get some money to pay the personal to keep it clean. A lot of people go through there each day. Our guide Luis led us to our boat for the transfer to the Manutus Lodge. Luis would be our guide for the 2 nights of our stay and he was fantastic. Manutus is a small complex of 12 bungalows all with air conditioning. Unlike many of the other lodges, they have a menu you order off of. There was a variety of items and the food was good. 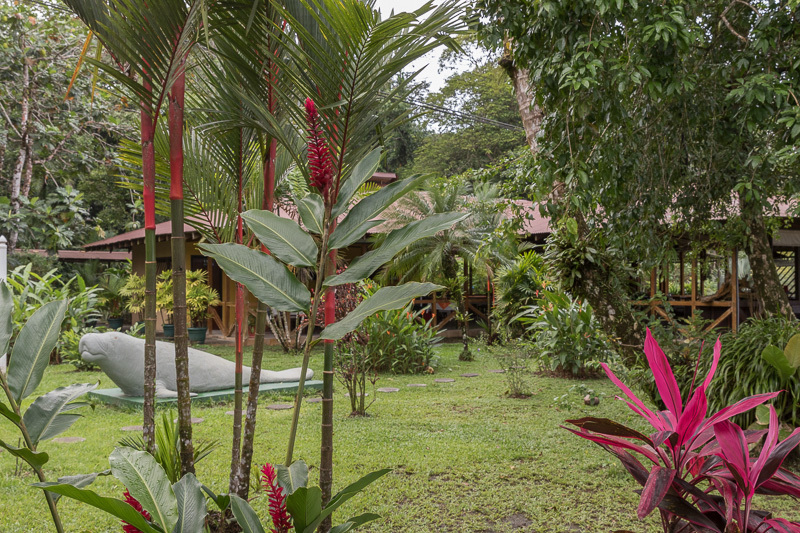 Since there are no roads you eat at the lodge you are staying in or you get a boat to the town of Tortuguero. An advantage of the smallness is that there are fewer people in the boats. We were one of three couples staying there. Our first tour was of the town of Tortuguero which has a population of about 1200. Our guide is a native of the area and had interesting stories of how the establishment of the national park and arrival of tourism changed their lives. Many people come to the area (and the reason for the name) to see sea turtles lay their eggs. This was not the right time of year for that. Good advice whenever you travel is to check when things are open and when the events happen. We also took an optional night walk on a path by our lodge. Walking through water and mud was not easy but it was enjoyable. I just wish I had taken my good flash with me. Missed a lot of shots.